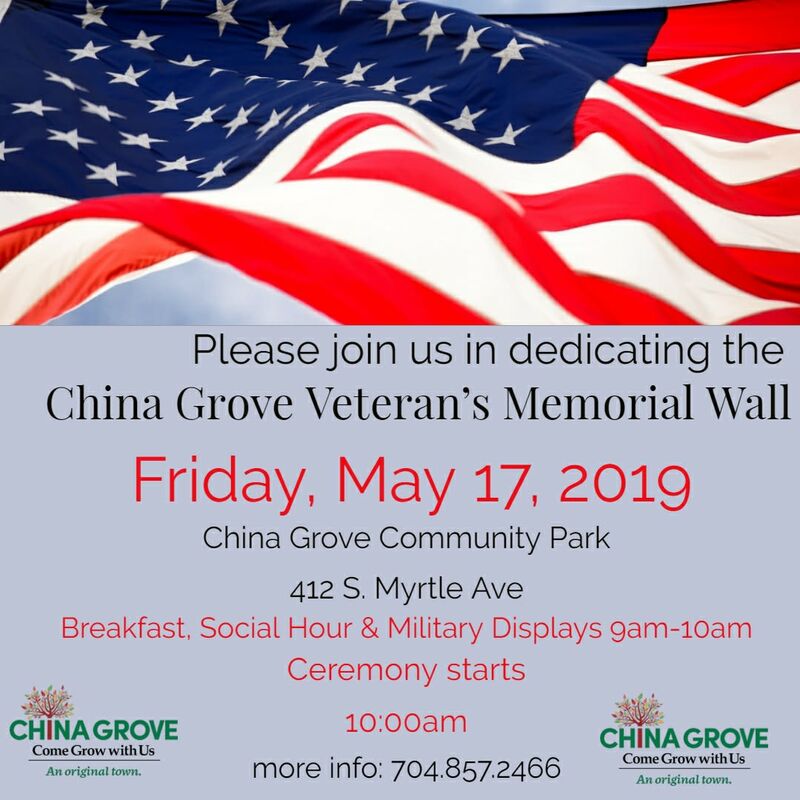 Join us for the China Grove Veteran's Memorial Dedication ceremony on May 17, 2019. 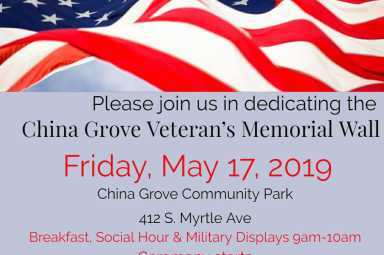 Breakfast for veterans, social hour and military displays to view from 9am-10am. The ceremony will start at 10:00am. Everyone welcome. Engravable bricks will also be for sale for $50 each.